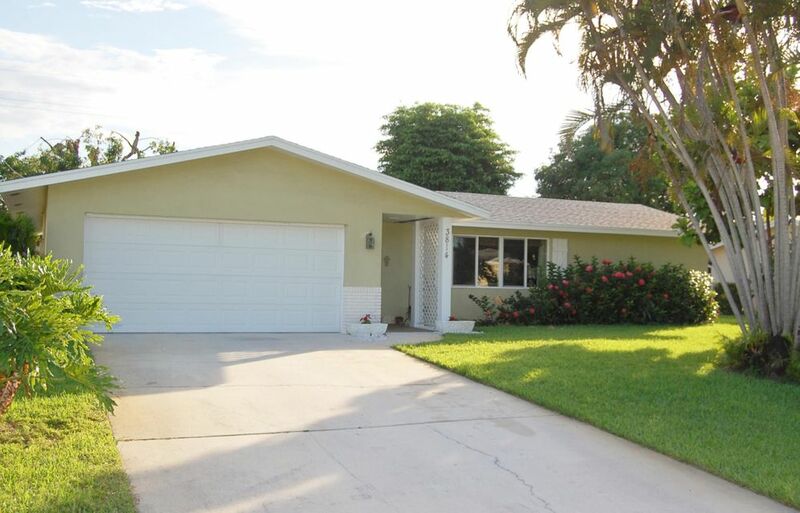 CHECK OUT THIS WELL MAINTAINED & UPGRADED HOME IN THIS GREAT PALM BEACH GARDENS NEIGHBORHOOD. THIS SOLID CBS HOME HAS NEWER JELD WEN WINDOWS, THE KITCHEN WAS CUSTOM DESIGNED WITH HIGH QUALITY MAPLE CABINETRY MADE EXTRA DEEP, GRANITE COUNTERS & IMPORTED HAND MADE TILE BACK SPLASH. TOP OF THE LINE GE PROFILE GAS RANGE AND MICROWAVE. BEAUTIFUL HARDWOOD FLOORS IN THE KITCHEN, FAMILY ROOM & GUEST BEDROOMS. SMOOTH FINISH CEILINGS, NEW A/C SYSTEM IN 2015, STORM PANELS FOR ALL WINDOWS AND GARAGE DOOR IS RATED TO 200 MPH LARGE FENCED BACKYARD & MUCH MORE. ALL SIZES APPROXIMATE.DINING AREA CHANDELIER EXCLUDED.